There’s no need to drive for hours to get in touch with Mother Nature. 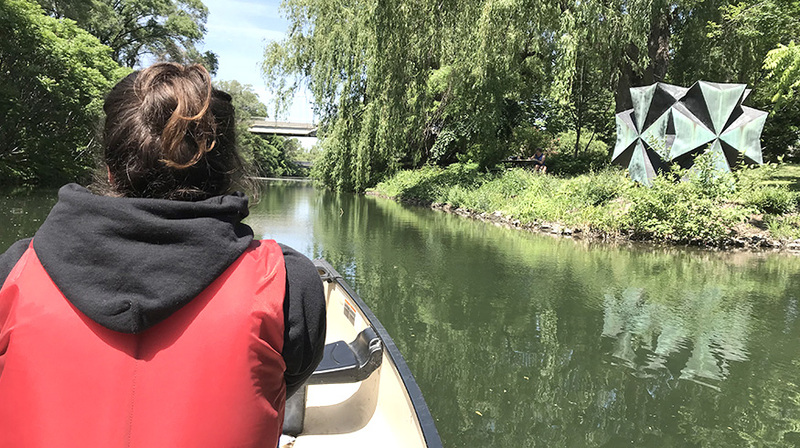 Onboard a kayak or a canoe, come and learn a bit about the history of Sainte-Hélène and Notre-Dame Islands, surrounded by an enchanting backdrop while navigating through the lagoons of Parc Jean-Drapeau. 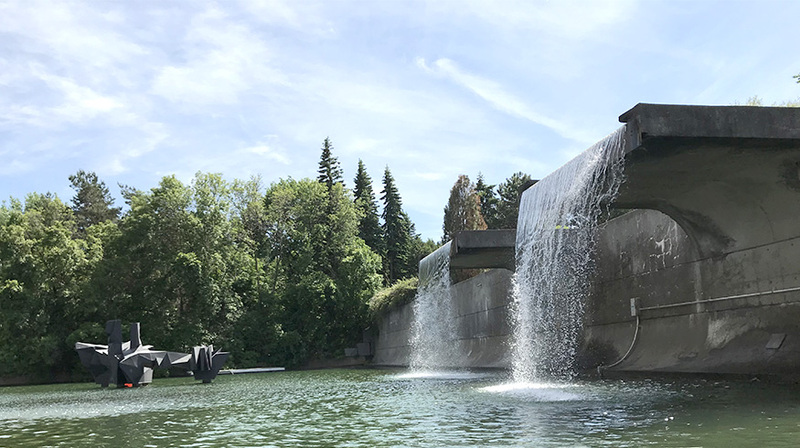 Guided by a passionate expert, you will be fascinated by everything around you: diverse flora and fauna, an unobstructed view of some of Montréal’s emblematic landmarks and the hidden side of the Expo 67 Pavilion. Whether as a family or among friends, fun is guaranteed! See the details on each of these below. Taxes not included. + welcome, equipment loading and instructions briefing for 15 minutes on the ground prior to departure. 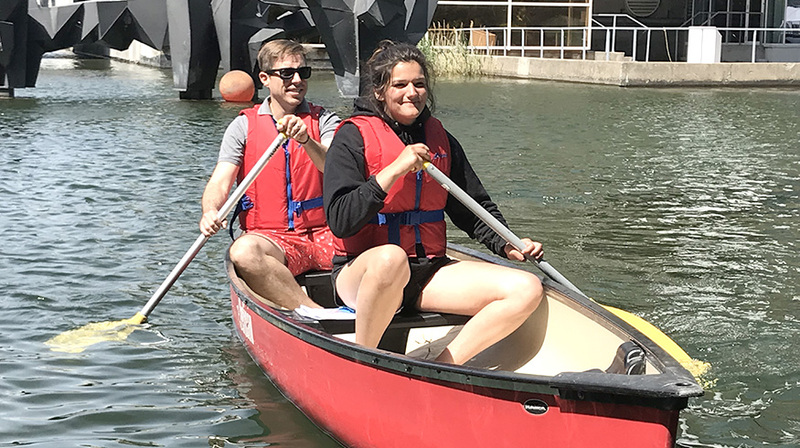 This guided tour is for beginners and is appropriate for couples, friends or families who wish to get active outside for fun. There is no current or wind. Discover an interesting way to explore Montréal from a different angle. The single kayak is simple for beginner paddlers to use. 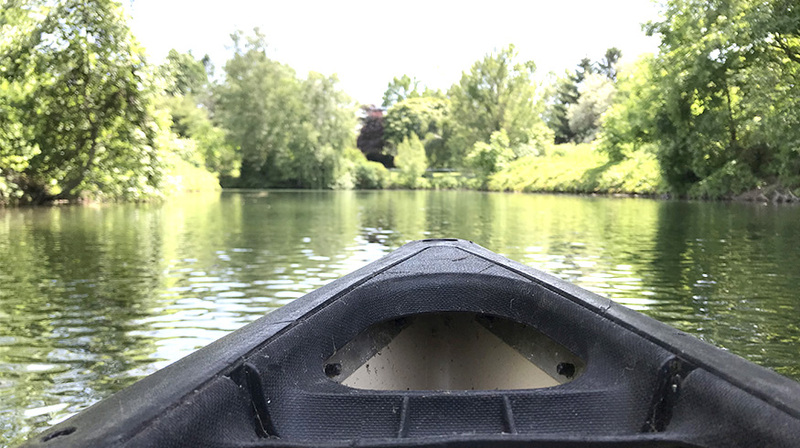 Built on a flat-bottomed multi chine hull, this sit-on-top kayak offers excellent stability and manoeuvrability, tracks well and has plenty of storage space. 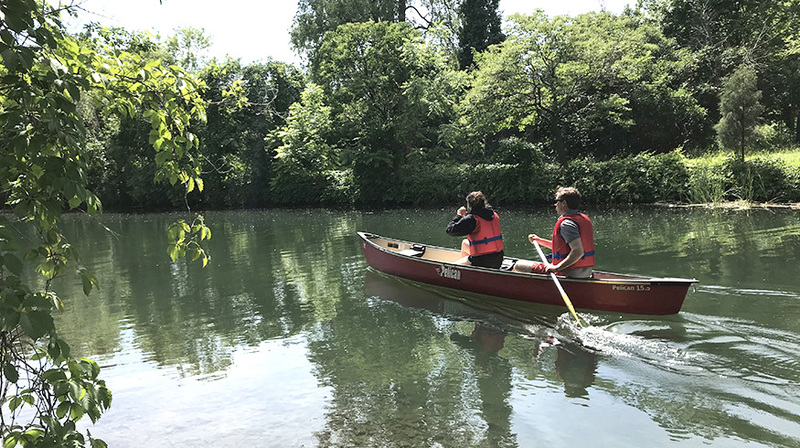 Paddle as a pair in this double kayak. This sit-on-top kayak is perfect for sharing a pleasant adventure. Built on a twin-arched multi chine hull, this tandem kayak is very stable, manoeuvrable and easy to paddle. It’s the perfect kayak for turning your expeditions on the water into unforgettable memories to share. This canoe is the ideal compromise between tracking and manoeuvrability. Shorter than an expedition canoe, it’s perfect for trips with family or friends and for creating memorable moments to share with everybody. You must sign a liability waiver. Wearing a lifejacket (included) is obligatory. Reserving in advance on our website is highly recommended to make sure that space is available on our different tours. Discover Parc Jean-Drapeau while having fun onboard one of our sea craft! More details on the STM website. A few photos of our guided tour of the lagoons at Parc Jean-Drapeau. Eco Tours Montréal brings you a futuristic experience with our cutting-edge segway and hoverboard. Come and try a new adventure that will delight your curiosity. Discover the Old Port of Montreal like never before with our Segway Tour and our Hoverboard tour. Summer season from May to September. Winter season from December to March. © 2017 Éco Tours Montréal. Tous droits réservés. Éco Tours Montréal est une entreprise associée au Groupe Écorécréo.